Just wanted to say thanks to Martin and crew for this awesome kit! 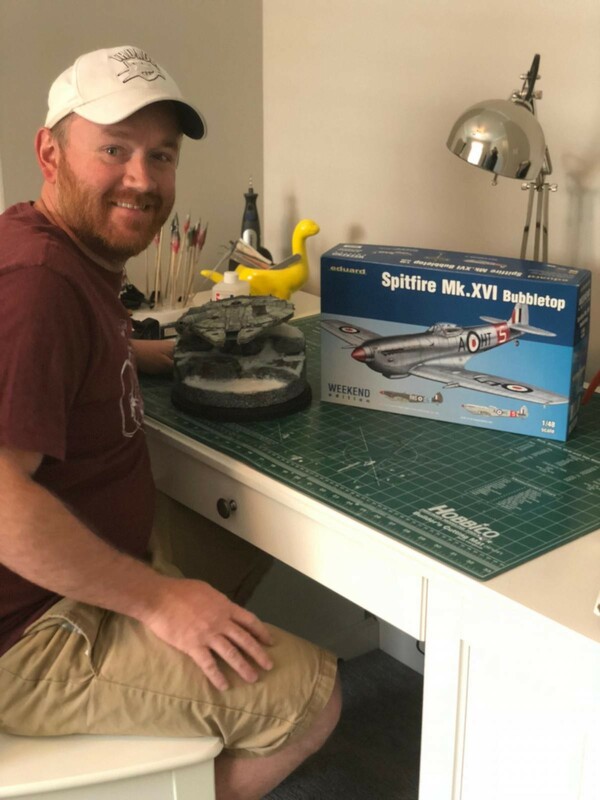 I had been wanting to add a clipped wing Spitfire to my stash so this win was a great opportunity to do just that. Figured I’d post a picture of myself with the kit and the Millennium Falcon that I won the Random Award for. Once Again, thanks to the iModeler team for the generous gift and I look forward to posting this build and following all the great builds here. Casey, nice choice, I always liked the MK XVI, Anxious to see what you can do with it! (I currently have a few on my to do shelf ). Congratulation’s ! Congrats Casey, should be a fun build,. 1/32nd scale Spitfire PRXIX PS853 of the Meteorological Flight, RAF Woodvale, 1953.